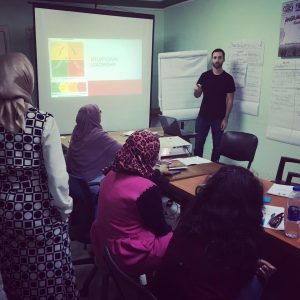 On a recent leadership training in Egypt, I led an exercise where I had each student share a story about how they became part of the organization. “I want to know your story,” I told them. The classroom didn’t know who I was, and naturally, they weren’t exactly thrilled about sharing their story with a total stranger from a foreign country. I explained to them that leaders go first, so I would lead this exercise and tell them about how I became a classroom facilitator. Leadership Development Training for an agricultural NGO in Egypt. After telling my story, I had the members of FAODA (Agricultural Organization) tell theirs. About ten minutes into it, the whole class caught on to something… There was a trend, a reoccurring theme. I didn’t have to explain what it was. They all understood it. We ended up calling it “The Spirit Of FAODA.” It was the glue that brought these people together. The Spirit of FAODA was the shared emotional experience. It articulated WHY the members were there, and why FAODA mattered. Organizations, entrepreneurs, and job seekers can all benefit from storytelling. Organizations with compelling stories have engaged employees. Forget the annual survey–listen to the stories that employees are telling. Stories about the founders, or times where the company did something remarkable remind people of why they work there. Stories that explain why the organization exists and how it operates should be imprinted into the culture. 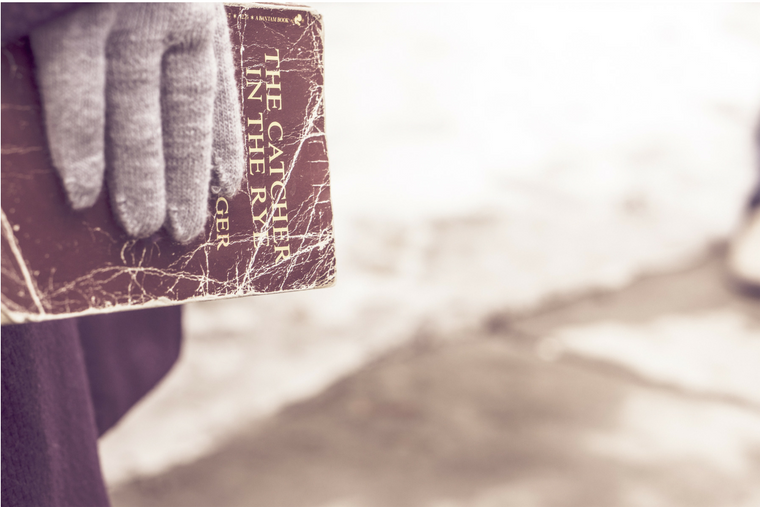 Entrepreneurs can utilize the power of story to connect with their customers. Having a powerful company story is a great way to stick out in a crowded marketplace. Job-seekers can use stories to stand out from the horde of other applicants. People think in terms of narratives. 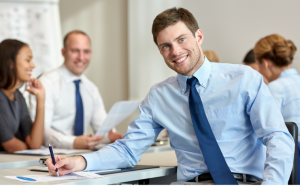 Tell a powerful story and your interviewer will remember you. Just like my group in Egypt was able to find the “Spirit Of FAODA,” a powerful story will enable you to articulate why people should care about you and what you have to offer. Ok, so you understand the power of story and you’re ready to tell yours. But, how do you do it? 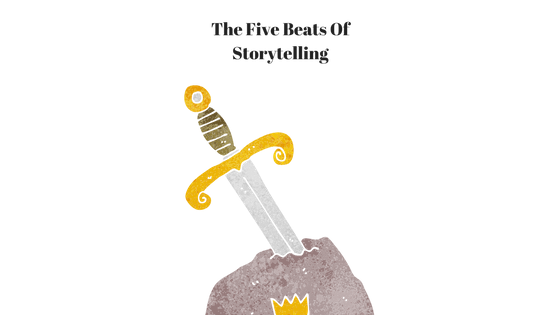 “The Five Beats” provides a powerful framework for putting your story together. The transformation – A story is a narrative arch involving one or more human characters that go through a transformation or change. You need to know the change that you are trying to convey through the characters in your story. Without a change or transformation in characters, you don’t really have a story. Once established, you’re ready to tell your story using the five beats below. The beats are broken down into a beginning, middle, and end. To make it easy, we’ll use the five beats to craft a simple story about an accountant who quits their job and transitions into a career in international development. Note: This is an EXTREMELY simplified example, but technically sound. 1. Setup – How things were before. This can be a brief summary of the status quo. This is where you set the scene to let the reader understand how things are at the beginning. Example: I went to work every day and dreaded it. I made sure to paint a smile on my face every day despite my desperation. I wanted to quit, but I didn’t know how. I’d been an accountant for years! How would I pay my bills if I quit? What would I do instead? 2. Inciting Incident – Dramatic incident that motivates the protagonist to go after a goal. This is where the status quo is broken. This the challenge that the character is faced with. It is often times represented as a choice. It’s THE HERO’S CALL. This is a great time to show vulnerability, to create a shared experience around a challenge or struggle. 3. Rising Action (The Plot Thickens!) – These are the challenges that your character faces; this is the journey. Use the rule of 3s here (3 challenges, 3 events, etc.). Think of Jonah in the belly of the whale, or Dorthy’s challenges while traveling to see the wizard. Being extremely detailed here with sensory-laden language will help make your story memorable. These are the events that build suspense and pull your listener in. Example: I struggled every day to find a new job. Job boards, interview after interview, still, nothing. I was starting to lose hope. I started to think about other jobs I could do and became interested in learning about International development. I started networking like crazy and talking to people in the field. It seemed like an interesting field to explore. I met a guy at a networking event who had been in the field for twenty years. He agreed to meet with me over coffee. A week after our coffee meeting, he called me to let me know about a job opening at his company. I didn’t know what I was getting myself into but jumped on the opportunity. I managed to land an interview the following week. 4. Main Event (Climax) – Emotional change, climax. This proves the controlling idea of your story. This is the event that answers the question posed by the second beat (inciting incident). This is where we see our main character’s transformation take place. Example: After struggling to find my way, I finally received a job offer in international development that would stretch me and grow me in ways I never thought possible. This is where you present a memorable line. This is what ties in the whole story by repeating the controlling idea of the story. Example: Having the courage to quit my job taught me an important lesson: Take chances, have courage, and never stop challenging yourself to find happiness. We all have stories. Stories connect, reveal, and humanize. Whether you’re a struggling job-seeker, an entrepreneur trying to stand out in a crowded marketplace, or a CEO trying to turn around an ailing culture, I’m confident that the five bumps of storytelling can help you tell your story. Does Your Company Know Its WHY?